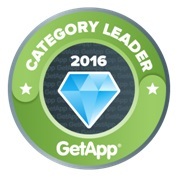 GetApp ranks apps for Category Leaders based on user reviews, integrations, mobile platforms, media presence and security. The scoring system ensures that the ranking is completely independent of any commercial relationship that GetApp has with software vendors. High user opinion, the ability to function well with other software solutions, availability on mobile, a strong online presence, and a high level of security reflect applications that are reliable and well-respected in the market. Companies can use this list as a point of reference in their decision making process so that they can choose the best software for their particular requirements. AccountSight's invoicing capabilities includes integration with QuickBooks, eSign Genie for esignatures and PayPal for accepting payments. AccountSight offers a free 30 day trial with the full comprehensive suite of features to customers who would like to try out the software available on the website. You can read more GetApp AccountSight reviews here.